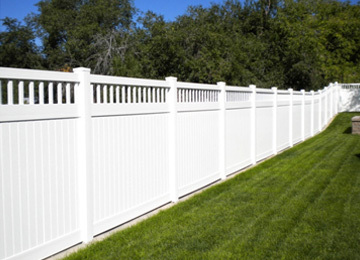 Vinyl fencing is the most popular type of fence on the market today. We carry multiple vinyl products to meet whatever needs you may have. If you’re tired of staining, repairing, or staring through your existing fence then replace it with a zero maintenance, full privacy vinyl fence. Remember, even though all vinyl fence products look the same doesn’t mean they are all the same quality. We’ll show you the difference. 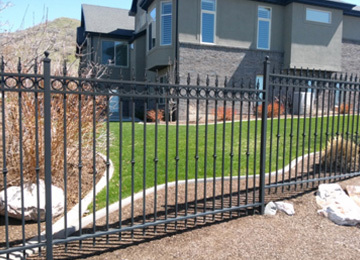 If your home is your castle then make it look like it with ornamental fencing. We offer both steel and aluminum in numerous styles to fit your taste. All of our ornamental fencing has at least a 20 year materials warranty, including paint. 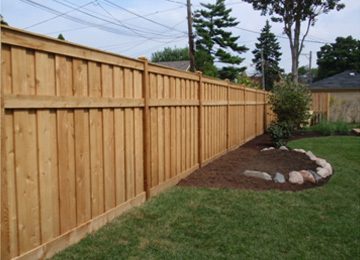 If vinyl fencing is just a little too bright for you, then maybe a classic cedar fence would look perfect around your yard. We don’t use low quality materials or flimsy designs. Our standard wood fences are made with all PREMIUM grade cedar products, not pressure treated pine that will crack and twist after the first summer. We’ll match your existing fence, give you a few new ideas, or build whatever custom design you can think of. Chain link fencing has been an industry staple for nearly 100 years. 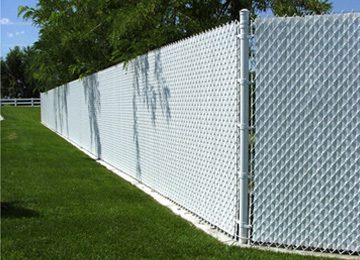 Residential chain link is the most economical fence material on the market, often installed for less than $15 per/ft. With various color options and privacy slats now available, chain link can be a great option for any style home. Our chain link installation crew has over 30 years experience. If you’re looking for an economical and maintenance-free fence, be sure to consider chain link. 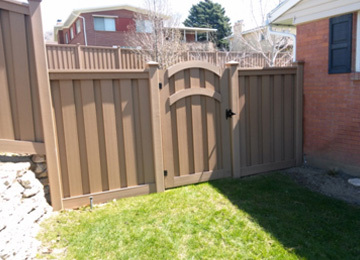 Trex fencing is quickly becoming a popular alternative to the standard cedar fence. With Trex you get the great looks of wood along with zero maintenance and a 25 year warranty. Trex fences are all good neighbor fences too since they look the same on both sides. If you like the warmth of a cedar fence but are past your staining prime then be sure to ask about Trex. We provide and install railings in all different products and styles including: vinyl, rod iron, Trex and wood. 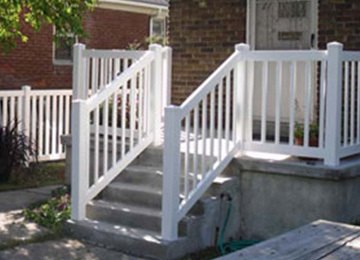 Our railing installers have years of experience, not only in railing and fencing, but in general construction too. This is very important in order to make sure your railing stays solid and safe for as long as you own it. Please remember, if you don’t see exactly what you want in our gallery of pictures don’t hesitate to call, we specialize in custom designs. 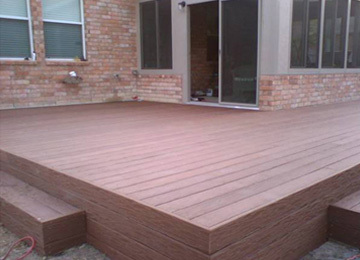 Composite decking has quickly become the standard for new decks in Utah. Our seasons and harsh desert sun turn regular wood decks into huge time commitments. Our deck installers have years of construction experience. We will make sure your deck is “Built to Last” and all local safety codes are followed.